If you are going to cook with a wok, you will need one of these wok spatulas. 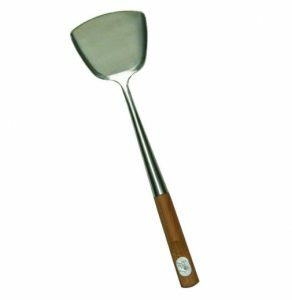 The spatula is my favorite and has a customer Amazon rating of 4.4 out of 5.0. This wok spatula is reasonably priced and you can find it by going here.